In a few months, we will be spending our first summer in our new home. And we have larger outdoor spaces this time around rather than just a small patio. During the summers, I like to spend time outside just relaxing on my patio furniture or cooking something up on the grill. 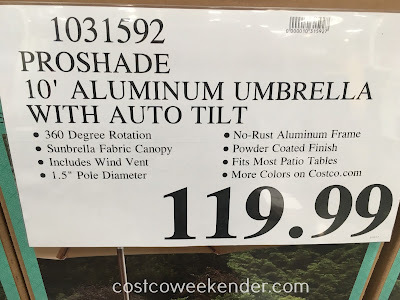 When having a meal outside, it's a good idea to stay cool underneath a patio umbrella like the ProShade 10ft Auto Tilt Aluminum Patio Umbrella from Costco. As the sun moves about, the umbrella can tilt thus providing shade for you throughout the day. The ProShade 10ft Auto Tilt Aluminum Patio Umbrella seems to be of good quality, strong fabric, aluminum frame and powder-coated finish. A 10-foot diameter umbrella actually works well for our size backyard. 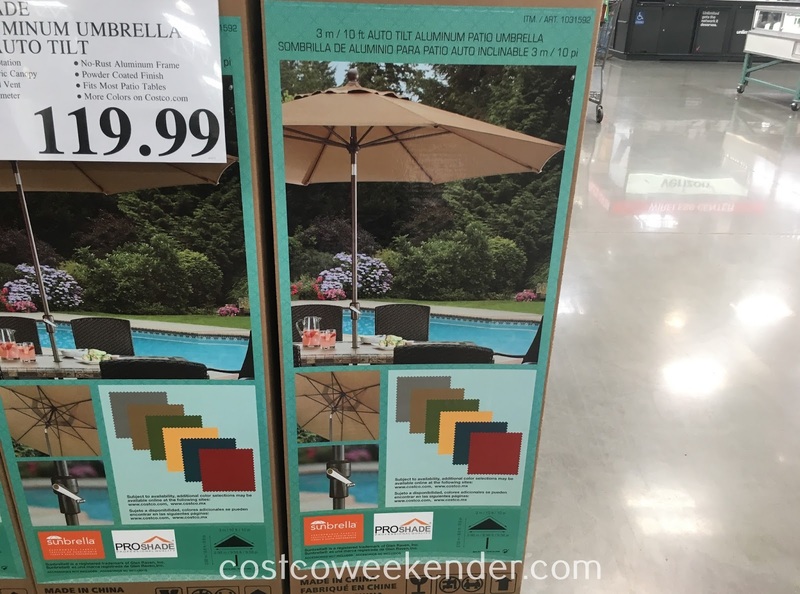 The Proshade should fit in most backyards and most patio tables. 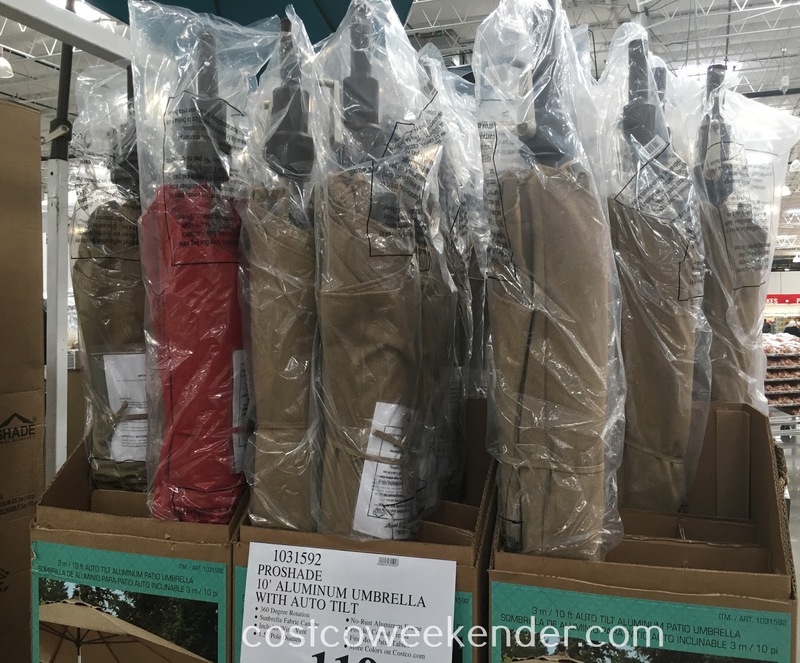 You can even get an umbrella stand also sold at Costco to pair your umbrella for your patio or outdoor deck. So this summer, get your barbecue fired up, dust off that patio furniture, and remember to stay hydrated and cool under the ProShade 10ft Auto Tilt Aluminum Patio Umbrella.